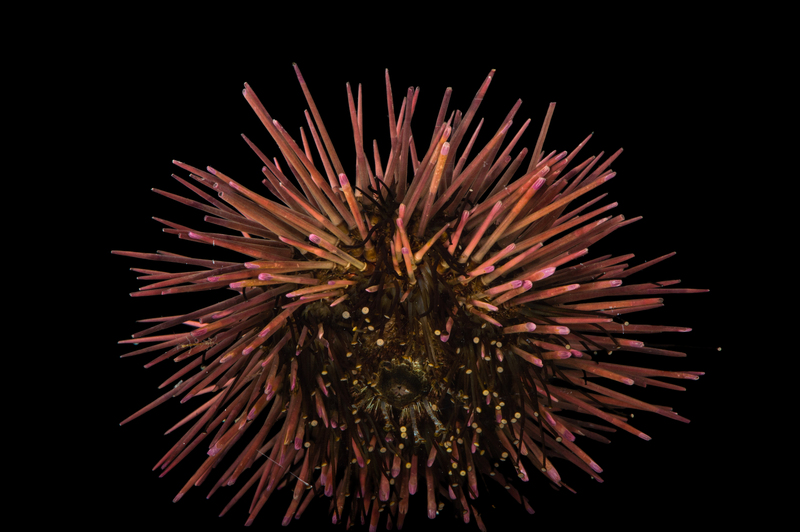 Stanford University has created a wonderful interactive website on the sea urchin complete with anatomy, details on how to do the fertilization experiments, tutorials about microscopy and games. There is also a section on teacher resources. 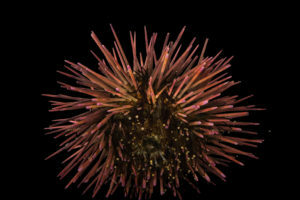 Gulf Specimen has been listed by Stanford University as a sea urchin supplier. We highly recommend this exceptional free electronic educational resource. looking spines as it rapidly moves about the aquarium. Their powerful teeth scrape away algae, and chew into sponges. Although they add action and beauty to the salt water aquarium, they have been classically used in embryology. Specimens are fertile mid-January through April. Variegated sea urchin (Lytechinus variegatus) at Gulf Specimen Marine Lab and Aquarium. and white, with an explosion of short spines emanating from a fat round body. 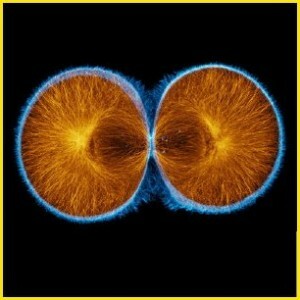 Eggs are remarkably clear and easy to study, particularly for demonstrating mitotic spindles. Huge volumes of eggs can be produced from a single large specimen, hence it is also prized by seafood loving gourmets. Specimens are fertile May through September. 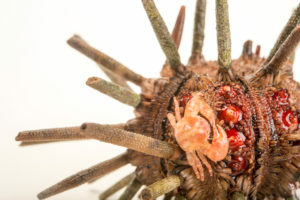 A black-fingered mud crab (Panopeus herbstii) crawls across a slate pencil urchin (Eucidaris tribuloides) at Gulf Specimen Marine Lab and Aquarium. AF-AS-26-B URCHIN FOOD ALGAE COLLECTION. A large bag of preferred species (whichever species is available at the time of shipment) is collected and shipped in water. One bag per two dozen urchins is recommended for a month. P-104-S URCHIN FOOD CRUMB OF BREAD SPONGE, Halichondria bowerbanki or other green sponges. Arbacia loves to gnaw on the protein rich green tissues full of symbiotic algae. The sponge colony often stays alive until it is completely consumed.